went to church every Sunday. One Sunday her younger sister was sick. a car pulled up in front of the house. and hurried up the walk. In the house they quickly checked for occupants. He stopped right before he reached the young girl’s room. Heck, there wasn’t anybody home. He turned around and helped his friend ransack the hosue. anything that wasn’t nailed down. they had taken out of a closet. got in their car and drove away. An hour later the family returned home. and the father called the cops. The cops asked to speak to the young girl. the house had been burglarized. but I saw them in my dreams. One of the cops snorted. but stopped before they reached her room. how they carried it out the front door. and he waved to me. Then he got in the car and they drove away. had made up a dream to match what had happened. The younger cop thought it was a crock. The older cop asked her to describe the two men. that had already been melted down. except for the waving of the hand at the end. this story is absolutely true. who relayed it to my brother and sister and I. A bit of the Case family lore. So why do I tell you now? and the truth of the martial arts. if you believe that they can exist. believe and you will find them. if they worked hard enough. your own experiences in imagination and abilities. and realize that this is the stuff of martial arts. Great news! I have been working with the Matrix Tai Chi basics performing each one dozens of times and holding the finished posture for three breaths each. This has made my Five Army form so much better! My power has increased in my karate forms as well. Just need to work on Shaolin Butterfly to get the basics down for the Bagua stuff. Well hope you’re having a great 2016 so far. The Value of a Mistake! Okay, let me lay some truth on you. This is a world that penalizes mistakes. might even call you stupid. BUT…here’s something to think about. A mistake is an opportunity to learn. you‘re telling him (or her) not to learn. In your child’s mind: Don’t make a mistake = don’t learn. Here at the dojo we love mistakes. to contribute to the growth of a better generation. a child comes up and gives one of the teachers a hug? Because we didn’t make them wrong, we helped them learn. Mistakes are a god given opportunity to prove your worth. and yes…even for you great parents! Yet Another Martial Arts Master Instructor! Congratulations to Sensei Alan Granger! First off thank you so much for writing this book! I have learned so much. I have learned something from every section. I will use the whole book. The things I will start right away with my students are the…(SSD teaching method)… It just makes so much sense. No one has ever shown me the body testing I have already started using it with my son. We take time to test each other a least 2 or 3 times a week. I have been looking at your stuff for about 8 or 9 months. I finally decided to download it. I am so glad I did. I just wish I would have done it sooner. It has been such a big help to me. I will be ordering more of your books and videos! Your win really makes my day. The teaching method he refers to is very simple. In the past 50 years I have seen TREMENDOUS degradation of art. or some other martial art. that have no idea what the martial arts are. and they don’t know anything. you don’t have to buy that. You can make sure your art actually lives beyond you. that you actually know a martial art in the first place. The Martial Arts Concept That Will Get You Killed! I was an instructor in Kenpo. Thought I was the deadliest SOB walking. Then I met a kid who showed me some stuff. Curious, I let him introduce me to his brother. His brother happened to be a Hell’s Angel. His brother also happened to know something of Kenpo. He grabbed my tee shirt with two fists. in spite of my training I didn’t know what to do. that was one of my techniques. Surely I could make that work! brought a forearm up to break his elbows. I brought my forearm around in a circle. and started to chop him in the throat. He threw me through a wall. All the way through it. Then he told me to grab his shirt. And he punched me…through the wall. I went through a wall. and I started to learn about the true art. And I started to learn about posers. 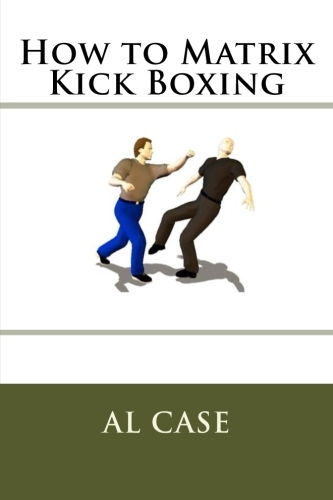 his technique consisted of straight punches and brute force. this isn’t to downgrade Kenpo. can also be made to work. in the people who teach the art. On later levels one learns circles and how to make them work. so that one learns how to generate power properly. later levels which do not have those types of power building drills. acts like he is something when he isn’t. and fix your own art. but once you know how to fix it it will become better than great. I read it (via newsletter) every Xmas. but I think it is art. I get this question every once in a while. Has matrixing ever been done before? so you can totally understand whether Matrixing is new. 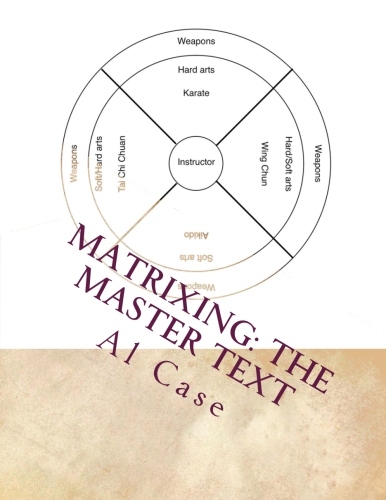 there is a fold out which sort of matrixes Aikido techniques. but it is not a true matrix for several reasons. therefore, it lacks the viewpoint necessary to the whole art. advanced or basic, you figure it out. This makes it VERY difficult to learn. if not more thorough understanding. other than the fact that Bruce was teaching out of Jame’s house in Oakland. So, who knows on this point? and in a mostly mechanical manner. One, it is, same as Aikido, specific to an art. well enough to understand the how and the why. Two, it is specific to the Wing Chun method of controlling the contest through the arms. Thus, several other theories are ignored, or at least not mentioned. but these two were key. and really examining them from a ‘whole art’ point of view. is matrixing new and unique? It is totally new and unique. it is a new and incredibly faster type of vehicle. It’s like comparing a Mustang to a Tesla. and join into one whole art. and what it may be doing to you. Old technology is drilling until your feet fall off. and your bone bruises are turning into calcium deposits. and drive myself until I am ready to drop. what is new martial art technology? there was no public education in China. except what you needed to barter. in China it was the five excellences. And the really rich people sent their children to western schools to get educated. a form based in Boolean algebra. the do it till you drop dead approach. Understanding is the prime ingredient. if you hand copied all his books and notes? just a repeat of what has been done. To be a real artist you must be able to create. So why don’t people do this in the martial arts? so they assume they know what he is doing. I even get people get upset with me. They get angry when I show them a different way of doing things. They can’t actually compare and contrast data. is a subject with scientific rules. They can’t apply science to chi. without having to really understand anything. Words like ‘snake oil’ come to mind. another get rich quick scheme. in magazines back in the 80s. and offer a complete money back guarantee. Since the 80s I have refunded money maybe five or six times. BUT ONCE OR TWICE A DECADE! Now that is a statistic! check out the Matrix Karate page. You will get more than you paid for. You will get more than you expect. that makes the martial arts ten times easier to learn. that makes sense of ALL martial arts. that people have been grinding at for hundreds of years. A New Master Instructor Speaks! Congratulations to Master Instructor Pat Cluse! It did not take me long to accept that I had more than my monies’ worth. Yes, many points you covered are not ‘new’ but were very refreshing and presented at a different angle. I have modified how I teach, and consider your course notes as a prime reference. The “SSD” drill has had the greatest impact on myself and students. Of course I have done 1 on 1 many many times but the pull of other students in the class has impacted on the quality (of my teaching). yet no one ever does it. then it was dropped by the wayside. without ever showing what that drill was. Students get what you are saying instantly. 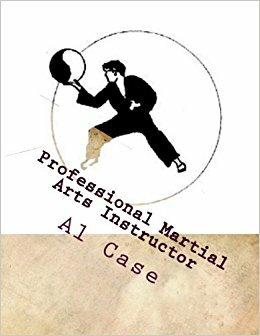 everybody gets how the martial arts work and why. in a course packed with info, data and usable gems. And it is all scientifically based. 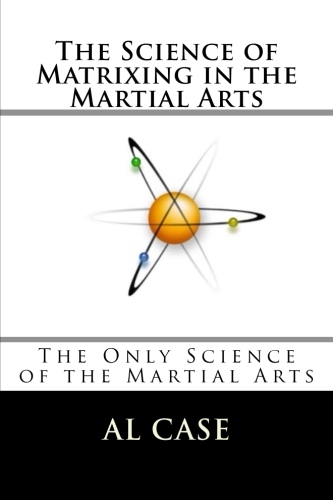 The Secret to REALLY Good Martial Arts! THE SUMMER OF SUPER MARTIAL ARTS! Happy hot day to you! and you detox the body. Take a look at Morihei Ueshiba. before he came up with peace and love. are backed up by some brutal moves. It means you have study both the hard and the soft. You can’t study one without the other. your hard art will soften up. and a profound appreciation for both sides of the yin yang. But why wait forty years? I tell them Tai Chi. I have been able to develop tai chi to handle them. I have been able to develop Karate beyond simple muscles. who need to know this. to go along with their punchology. their sweet and sensitive side. so let’s make this offer good through Sunday, July 16. I don’t make offers like these often. can you even remember the last time? study and master BOTH sides! ONLY GOOD UNTIL SUNDAY, JULY 16, 2017!